As you know, in a few short months the American People will head to the polls to pass judgment on the current Democratic leadership in Washington to determine our country’s path at the crucial crossroads we are currently facing. We have to make the choice as a nation between continuing on our destructive path of deficit spending that is moving us towards economic disaster, and saying ‘enough is enough’. If the Democrats are allowed to maintain their large majorities in the House and Senate, our economy will continue to struggle under the looming threat of tax hikes, the scope of the Federal Government will continue to expand, and the national debt will spiral out of control. Through SarahPAC, we have been able to provide conservative candidates around the country with over $150,000 in campaign contributions. This money goes to support the campaigns of strong, conservative leaders like Rep. Marsha Blackburn of Tennessee, Marco Rubio of Florida, and John Kasich of Ohio. It’s possible for SarahPAC to assist these great Americans, and many other conservatives, because of generous contributions from patriots like you, who are concerned about our nation’s future. We need your help today! Will you make a donation of $25, $50, or $100 to help elect the next great generation of conservative leaders to office? With the help of conservatives like you, this election cycle will go down in history, alongside the Reagan landslide in 1980 and the Republican Revolution in 1994, as a turning point that returned common sense and American values and ideals to the halls of power in our nation’s capitol and throughout the Union. Please help us make sure that Governor Palin has the resources to campaign and contribute in this crucial election by making a donation today, so that we can bring common sense and traditional values to all levels of government. P.S. Please take a moment to enjoy this new video by SarahPAC titled “Mama Grizzlies”. Sarah Palin has added a new Mama Grizzly to her growing list of warriors who are preparing to do battle with those who are destroying Liberty and Freedom, and seek to further oppress the people of our great nation. I’m pleased to lend my support to CeCe Heil’s campaign for Congress from Tennessee’s 5th District. CeCe is another tough “mama grizzly” with the experience, passion, and integrity to restore some common sense to Washington. As a small business owner, attorney, constitutional scholar, and proud mother of two, she will fight tirelessly to protect our freedoms and rein in the excesses of an out-of-control federal government that seems set on spending away our children’s future. CeCe brings the business sense and the constitutional understanding that is so needed in DC right now. Please join me in supporting CeCe Heil’s campaign by visiting her website at www.ceceforcongress.com and following her on Facebook and Twitter. America was founded on the belief that freedom was the key to success, personally, corporately, and politically. Our founding fathers understood what it was like to live under tyrannical control and brilliantly drafted our founding documents, the Declaration of Independence and the Constitution, to place the power in the hands of the people. By their actions, they unleashed the American Dream. Although our government is returning to that tyrannical control, we need to remind them that we live in a Constitutional Republic governed by a document of enumerated powers. The people of the 5th District of Tennessee need a representative in Washington who is not only conservative, but also understands the Constitution and federal legislation, and is not afraid to take action to rein in the Federal Government. As an attorney, a strict constructionist, and small business owner, I have the knowledge, experience and conviction to effect the change needed to reverse course and provide the people the power to rebuild the American Dream. 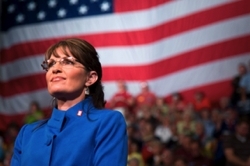 CeCe Heil is a solid addition to Sarah Palin’s sleuth of Mama Grizzlies. She has a compelling personal story and is the sort of Common Sense Conservative we need in Congress. Let’s all do everything we can to send her to D.C.